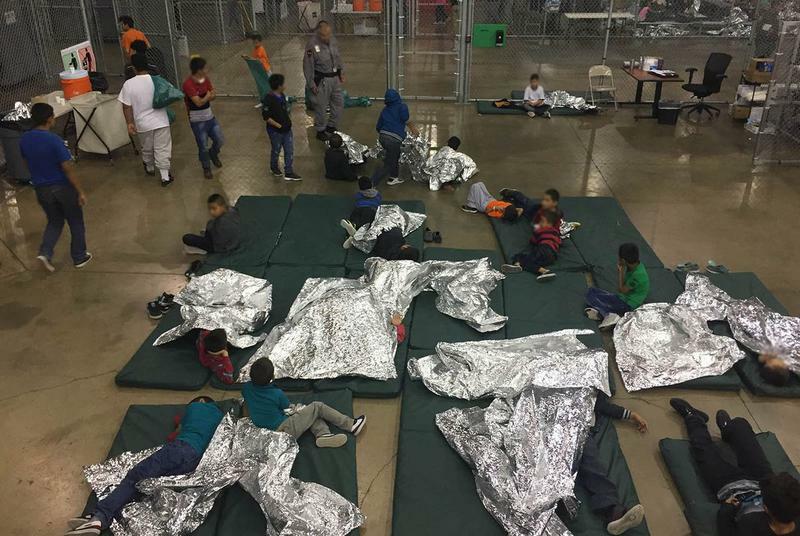 Laura Bush, the former first lady of the U.S. and of Texas, called the Trump administration's zero tolerance policy of separating immigrant children from their parents "cruel" in an op-ed published in the Washington Post Sunday evening. 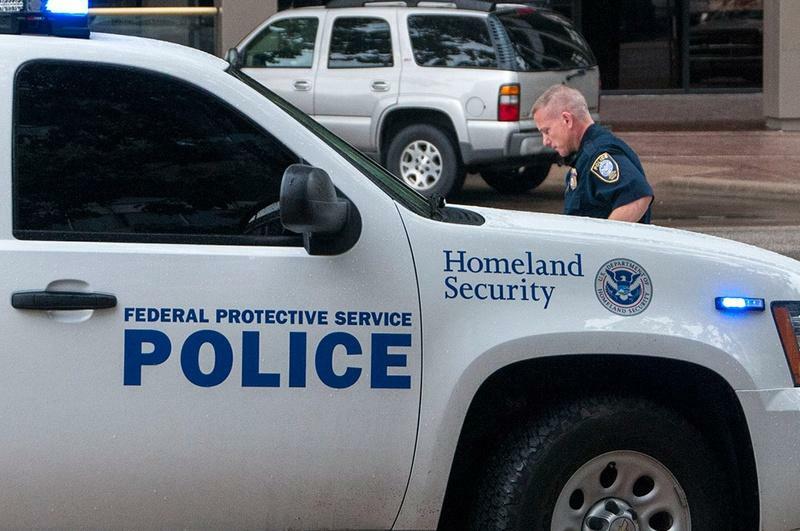 Immigration officials arrested an El Paso woman who alleged she was a victim of domestic abuse, according to multiple reports. And the tip that got her arrested may have come from her alleged abuser, according to the El Paso Times. 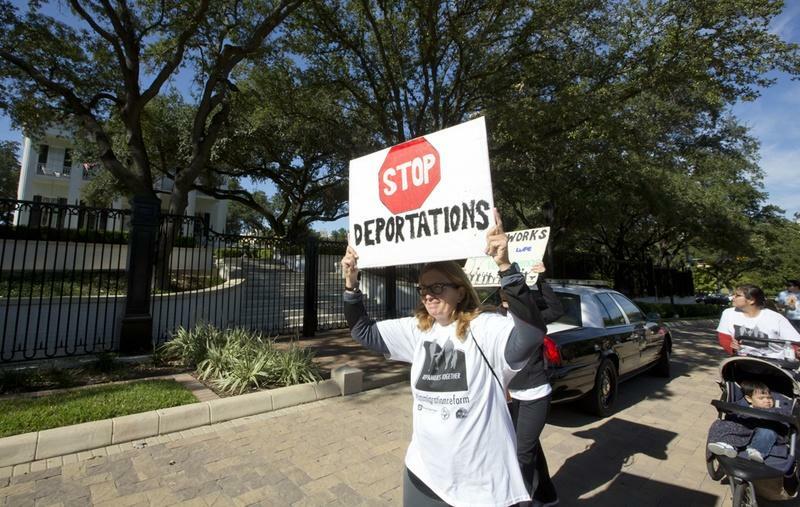 WASHINGTON — A lone Republican, U.S. Rep. Will Hurd of Helotes, joined a handful of the Texas delegation's Democrats in challenging President Donald Trump's executive order banning travel from seven predominantly Muslim countries. 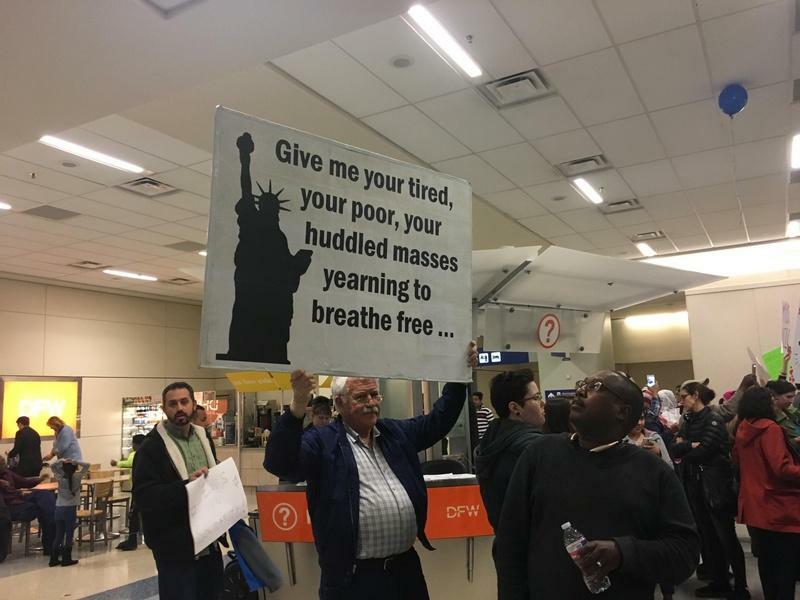 And while the Texas Republican overseeing Homeland Security attempted to distance himself from Trump's action, most of the delegation reacted with silence. After months of sparring over whether transgender Texans should be allowed to use bathrooms that align with their gender identity, Republican Lt. Gov. 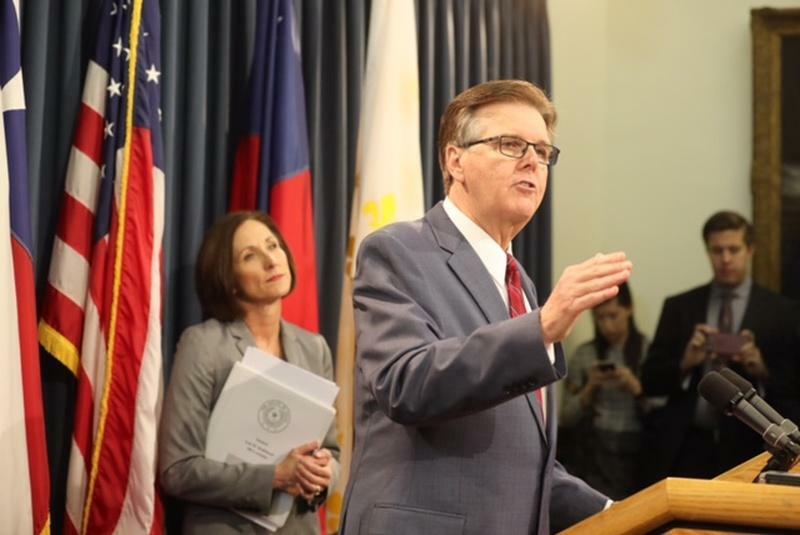 Dan Patrick on Thursday officially set the legislative stage for the debate. Update (11:06 a.m.): Governor Greg Abbott has responded to the CBS report, suggesting that Texans "remain vigilant" in light of a reported planned terrorist attack. In a Facebook post on Tuesday afternoon, American singer-songwriter Ray LaMontagne said he was canceling a scheduled show at the University of Texas at Austin’s Bass Concert Hall because of concerns with Texas’ new campus carry law. 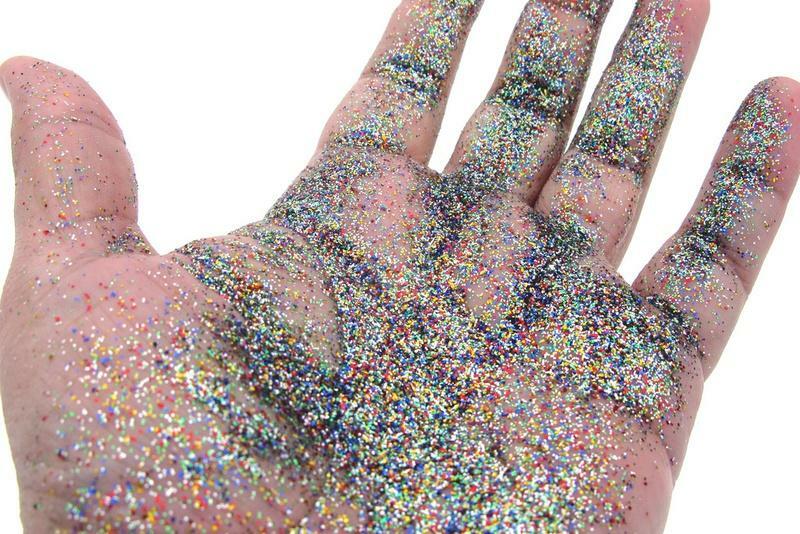 In an email forwarded to legislative staffers on Thursday, a Department of Public Safety captain warned of "glitter bombs" being sent to state lawmakers and attached a document titled "Glitter Bombing: Weapon of Choice for Gay Rights, Pro Choice Advocates." According to the DPS email, passed along to Senate chiefs of staff by Patsy Spaw, the secretary of the Senate, state Rep. Debbie Riddle's district office in Spring recently received such a parcel — a spring-loaded tube filled with glitter. 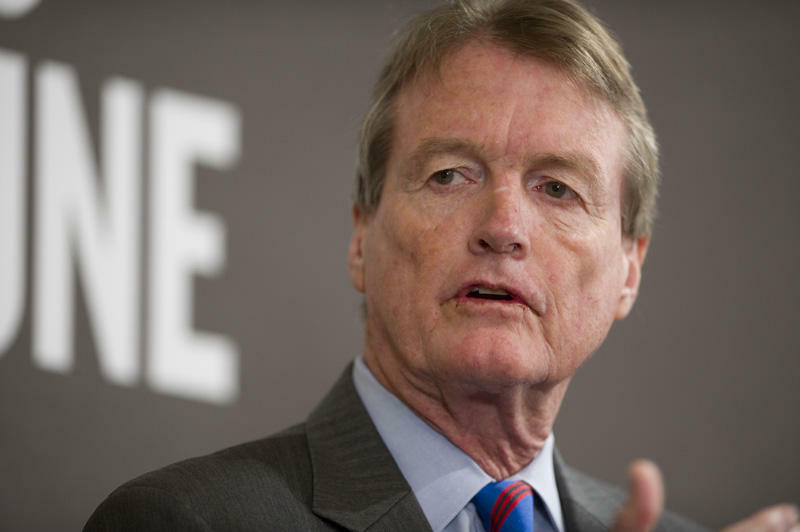 University of Texas at Austin President Bill Powers has helped secure college admittance for some students over the objections of the admissions office, according to an external review of lawmaker and regent influence at the flagship campus. During an appearance on The Daily Show in Austin on Monday, state Sen. Wendy Davis, the Democratic gubernatorial candidate, dismissed speculation that Texas is showing no signs of turning blue. Host Jon Stewart asked Davis about the "tough campaign" she has faced this year. Recent surveys, including the latest University of Texas/Texas Tribune Poll, have shown her trailing her Republican opponent, Attorney General Greg Abbott, by double digits. 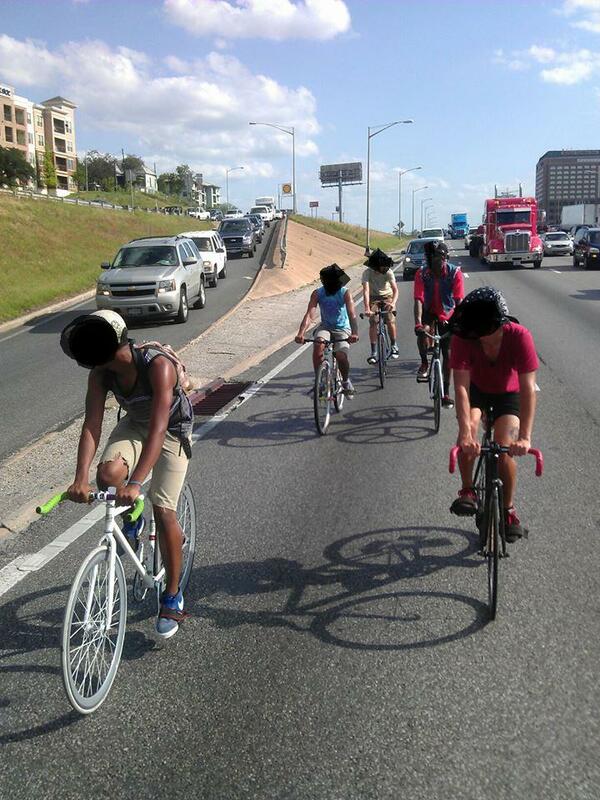 "How conservative a place is Texas — and what is the demographic?" Stewart said. "We’ve heard a lot about 'it's flipping blue,' but it looks like it ain’t even flipping like a cool azure. What’s going on?" Davis told Stewart that Texas "really is on its way." BROWNSVILLE — Calling South Texas the new frontier of space, Gov. 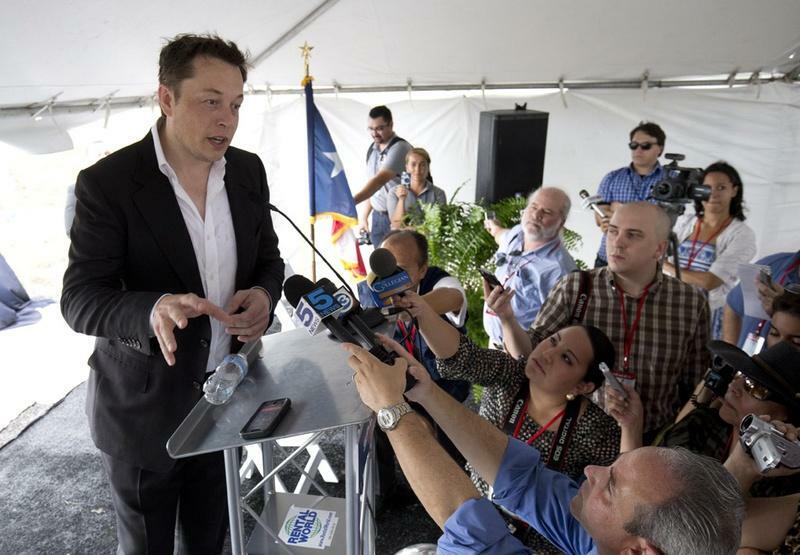 Rick Perry, SpaceX CEO Elon Musk and other Texas officials broke ground Monday morning at the site of a future private commercial orbital launch facility expected to boost Brownsville’s economy and start launching rockets in 2016. 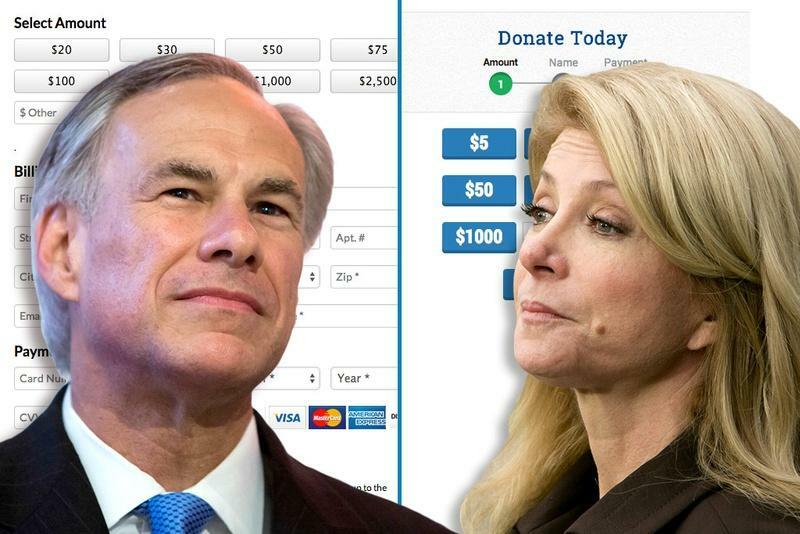 Republican gubernatorial candidate Greg Abbott's campaign manager is requesting a ruling from the Texas Ethics Commission on whether Democratic gubernatorial candidate Wendy Davis' book deal and tour are illegal corporate campaign contributions. In the three page letter sent Monday morning, Abbott campaign manager Wayne Hamilton argues the book is tied to her campaign. Corporate campaign contributions are illegal in Texas elections. In response to recent national events, the University of Texas is putting additional safety procedures in place at the commencement ceremonies. Backpacks, tote bags or any other kind of bag larger than 12 inches on any side will not be allowed into commencement. Anyone carrying a big this large will be turned away. Additionally, smaller bags including purses, camera cases and diaper bags will be inspected and searched. Update: The full University of Texas System Board of Regents has voted to move forward with a plan for the future of its flagship campus – including the medical school. The plan passed without discussion. 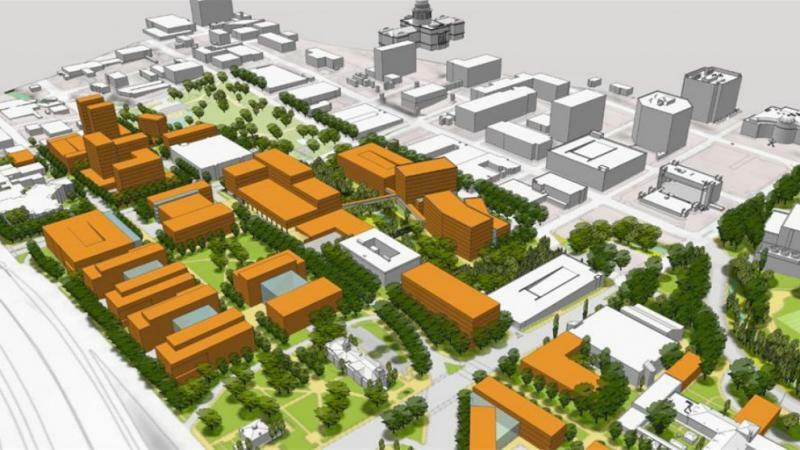 Update (May 8, 11:51 a.m.): A committee of the UT System Board of Regents approved an update to the university's master plan, including plans for UT's medical school, new teaching buildings and more. The plan could eventually move the Frank Erwin Center. Earlier today, law enforcement officers took part in a memorial for the 25 Texas police officers who died in service over the past two years. 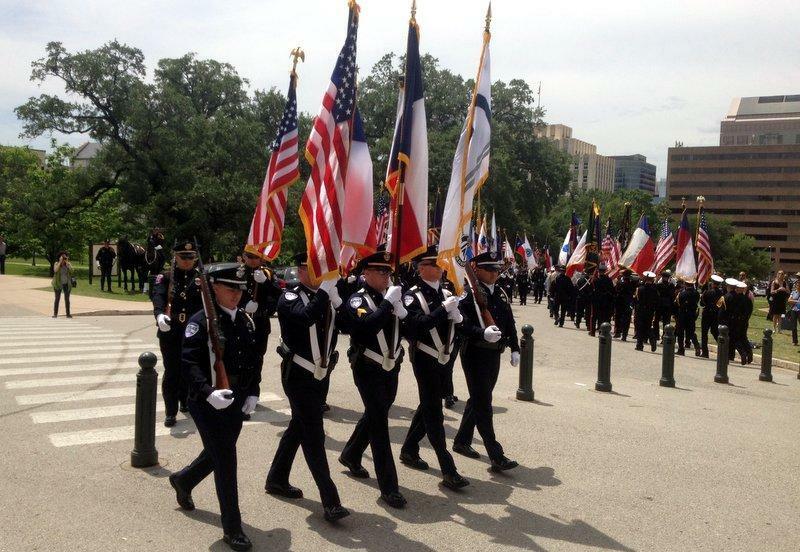 Every two years, the Peace Officers Memorial Foundation of Texas hosts a candlelight vigil and a memorial ceremony and parade in May. The parade started at the Congress Avenue Bridge and ended at the Capitol, marched by a procession of color guard teams, police motorcycles, cyclists and pipe and drum corps. 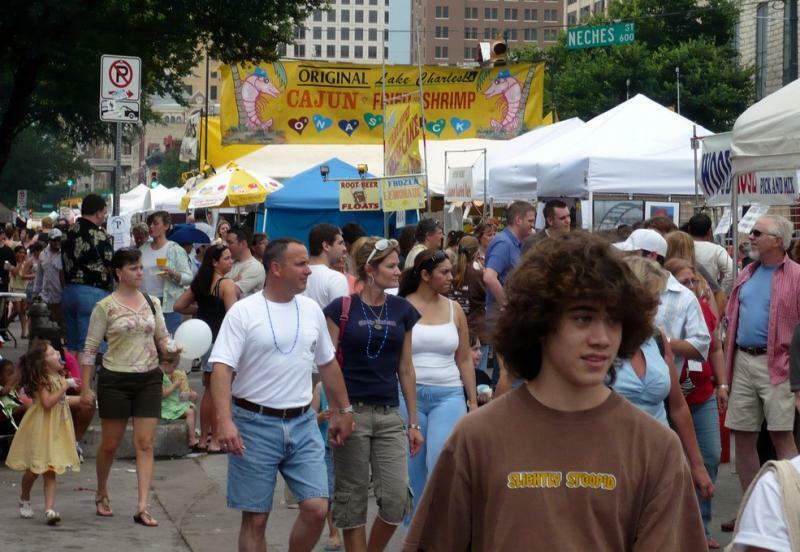 This weekend, parts of downtown Austin will be closed Saturday and Sunday for different events. The March for Babies will start at 9 a.m. Saturday morning. Registration for those who want to march starts at 8 a.m. at Auditorium Shores. The march raises money for children who are born too early. As a result of the march, Congress Avenue and a few other streets will be closed in the morning on Saturday. 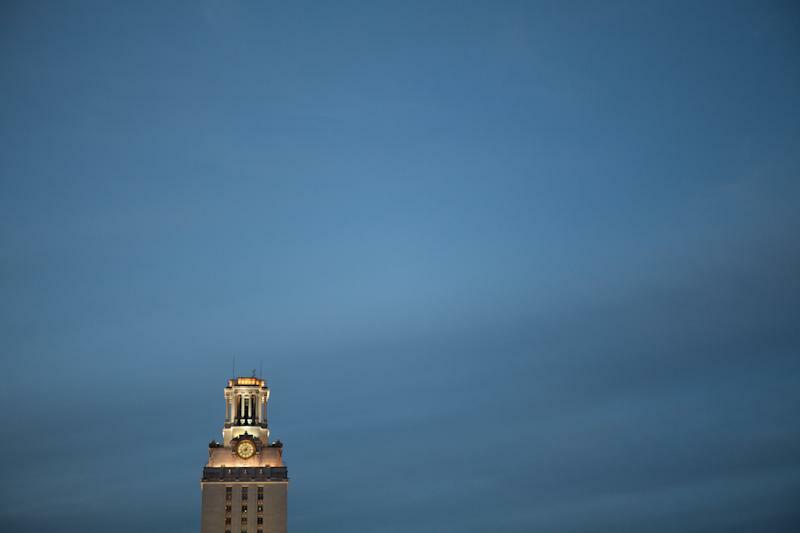 The University of Texas at Austin tower will be mostly dark tonight in honor of the 205 members of the UT community who died over the past year. 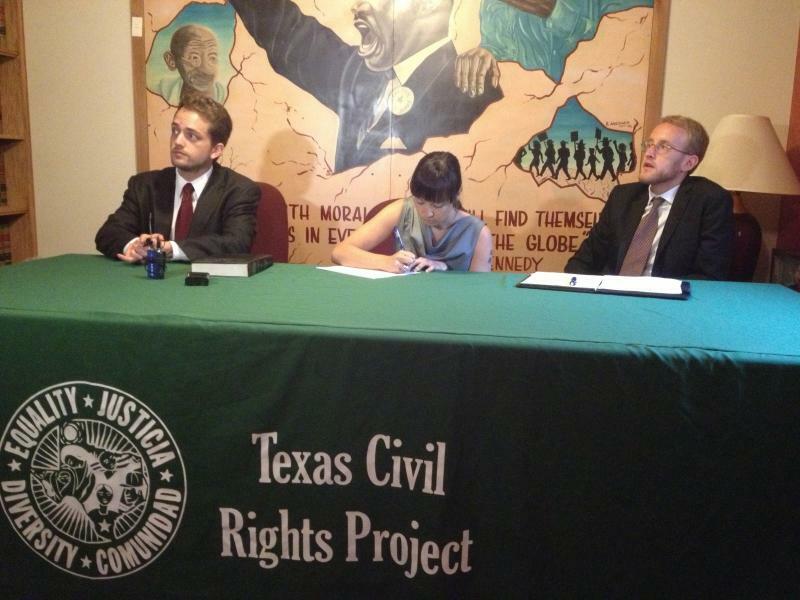 The Texas Civil Rights Project and Prison Legal News have filed a lawsuit against Corrections Corporation of America, claiming the company is withholding evidence of mismanagement and mistreatment of prison inmates. The lawsuit claims that Corrections Corporation of America covered up the deaths of seven inmates at the Dawson State Jail in Dallas. Earlier this year, the death of an infant at the prison made headlines statewide. Bob Libal, director of Grassroots Leadership, said the lawsuit will shine light on the private prison industry. The City of Austin’s trying something different this budget season: City department officials have made 20 videos that clock in at over 200 minutes, available on the city's YouTube channel. The videos include everything from a basic overview of how revenue from taxes and utilities equate to city services, to a 25-minute financial forecast of public utility Austin Water. Each department’s financial forecast presentation is available online, so anyone who wants the lowdown on, say, the Public Works department, can get it. The City of Austin’s Commission on Immigrant Affairs unveiled emergency cards Friday designed to help first responders assist people who don’t speak English. The business card-sized rectangles allow those people to hand over basic personal and medical information to emergency responders. This includes information such as name, allergies and other vital information needed in emergency situations. University of Texas at Austin senior and defensive back Kenny Vaccaro will start donning gold and black instead of burnt orange. 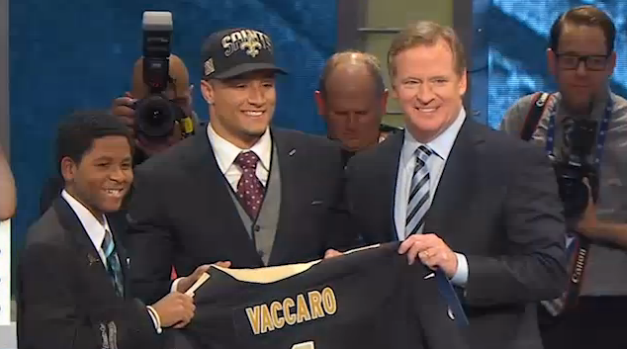 Vaccaro was drafted 15th overall in the NFL draft last night by the New Orleans Saints. He will be the first Longhorn to play for the home of jazz since the Saints took Heisman trophy winner Ricky Williams in 1999. Vaccaro said (and tweeted) that he is excited to be a Saint. The City of Austin is offering a free, easy and anonymous way to dispose of expired prescription drugs. The city will host its annual drug take-back day this Saturday at three locations around town, from 10 a.m. to 2 p.m. The three take-back locations in Austin are Cornerstone Church, City of Austin Household Hazardous Waste Facility and Barton Creek Square Mall. At these locations, residents can anonymously drop of drugs and syringes in a way that is environmentally safe. 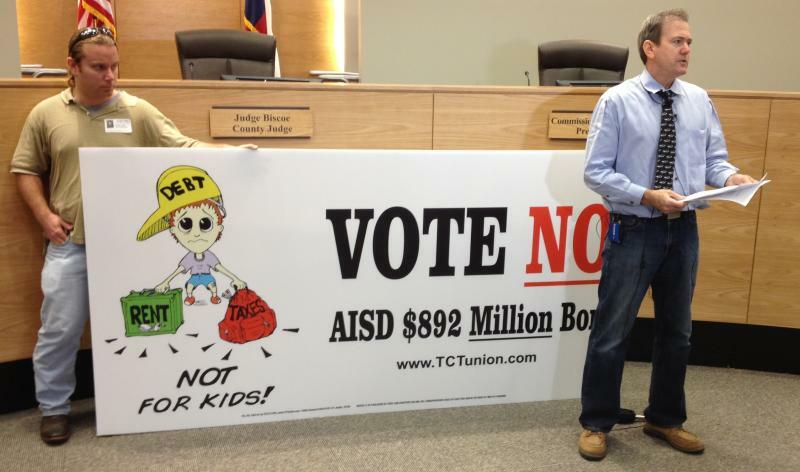 The Travis County Taxpayers Union filed an ethics complaint with the Austin Independent School District, saying the proposed $892 million bond initiative on election ballots next month asks too much of taxpayers. The group's treasurer, Donald Zimmerman, said the district’s current budget already covers the increase in maintenance cost that the proposition requests. Zimmerman also alleged that AISD acted unethically by providing an estimated cost to average taxpayers on signs promoting the bond. 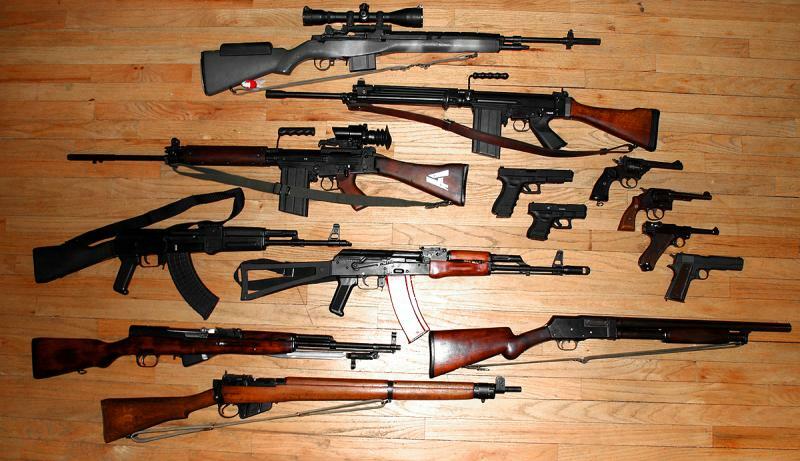 The Austin police chief says he’s disappointed by the U.S. Senate’s failure to approve a new gun control measure. 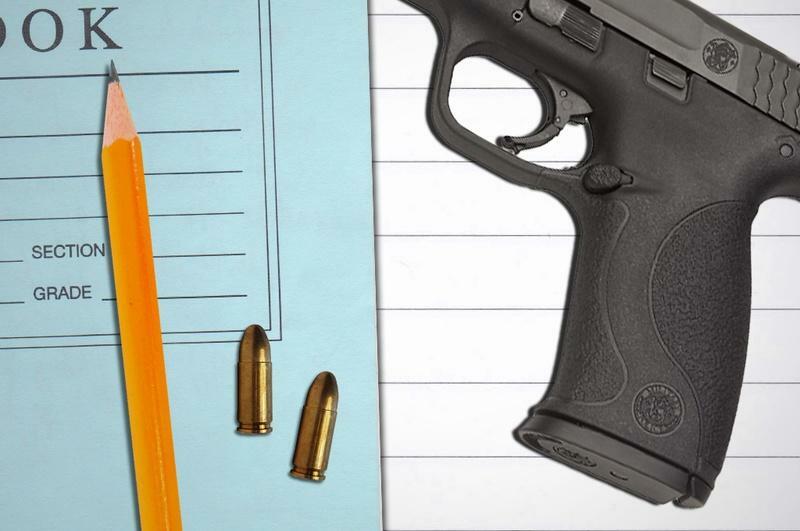 The legislation would have required federal background checks for all gun purchases, including those at gun shows and online. Austin Police Chief Art Acevedo sees the votes against Senate passage as defying what most citizens support. 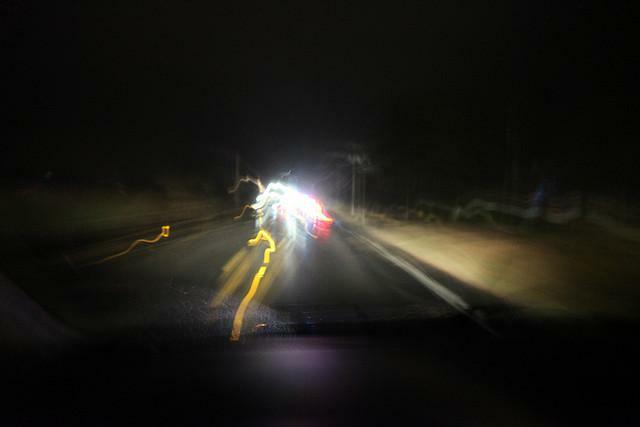 The Austin Police Chief is ordering officers to stop getting warrantless blood draws from drunk driving suspects. The policy change comes after a ruling Wednesday from the U.S. Supreme Court that police in most cases must try to obtain a search warrant from a judge before ordering blood tests. Texas Law allows a warrantless blood draws in certain cases, but Austin Police Chief Art Acevedo is calling on his officers to stop doing that, at least for the time being. On tax day, Gov. 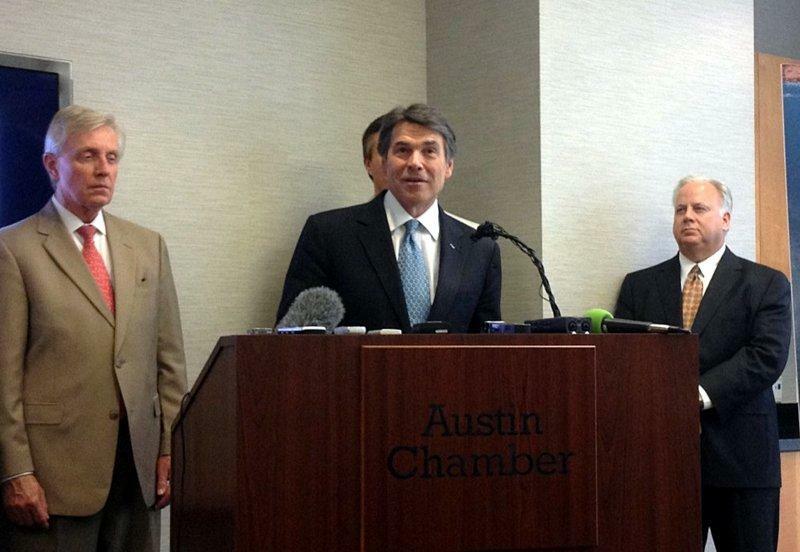 Rick Perry called for tax cuts for businesses amounting to $1.6 billion over the biennium. Perry called for $1 million tax deduction for business earning under $20 million annually. He also called for a five percent cut on the franchise tax, which all corporations chartered in Texas pay. 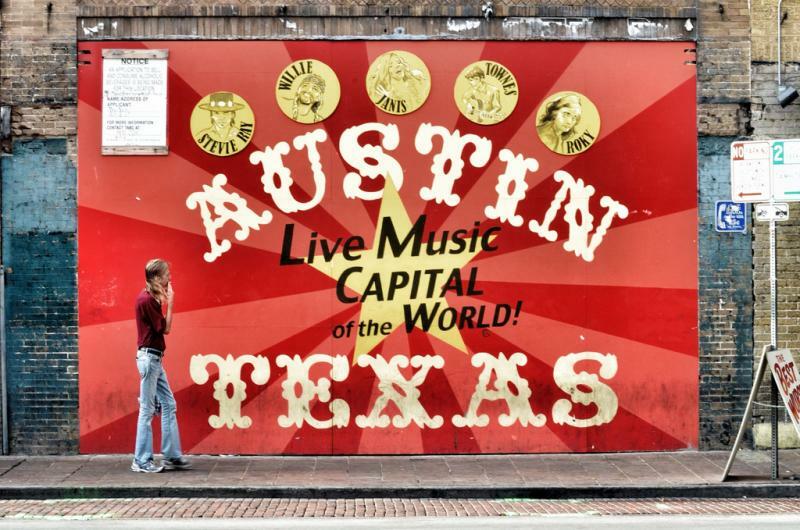 A study from Canada has reaffirmed Austin's reputation as a scene for aspiring musicians. But they should be sure to play an acoustic guitar. The study, which was released early this month from researchers at The Martin Prosperity Institute in the Rotman School of Management at the University of Toronto in Canada, used data garnered from Myspace to create music profiles of different cities across the United States. 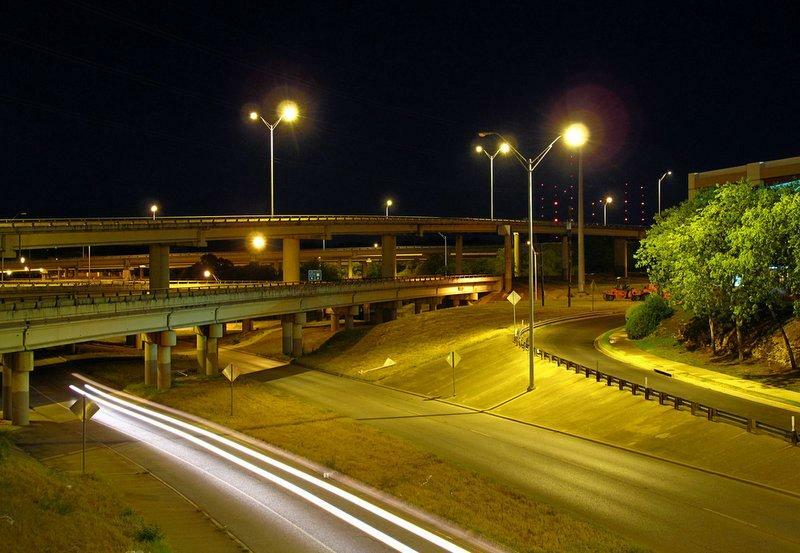 Austin was one of the fifteen cities examined in the study. Eighteen people will make up a search committee for the University of Texas at Austin's Dell Medical School's founding dean. Like most search committees, the one for the inaugural medical school dean is composed of local deans at UT, professors and students. This search committee also has deans from other universities in the UT System and members from Seton Healthcare Family and Central Health, who are partners in the new medical school initiative. Road closures this weekend will keep drivers away from city hall and a few roads surrounding the University of Texas at Austin. Art City Austin and the Longhorn Run are both this weekend. 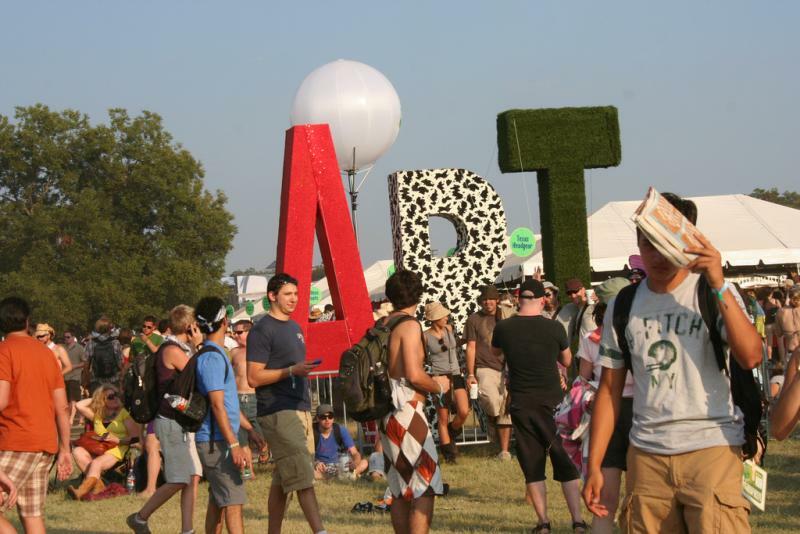 Art City Austin is pitched as a hybrid of an art festival and a block party. The festival features an outdoor art fair, local food trailers, live music and more. Volunteers are still needed. Texas voters would decide whether or not casinos would be allowed in the state, if state lawmakers approve a referendum that would amend the state Constitution. State Senator John Carona (R-Dallas) said his proposal would allow 21 casinos to be distributed throughout the state, and would create a gambling commission. Carona, the author of the bill, said it is time Texas allows for casinos and slot machines, so the state doesn't fall behind other states economically.